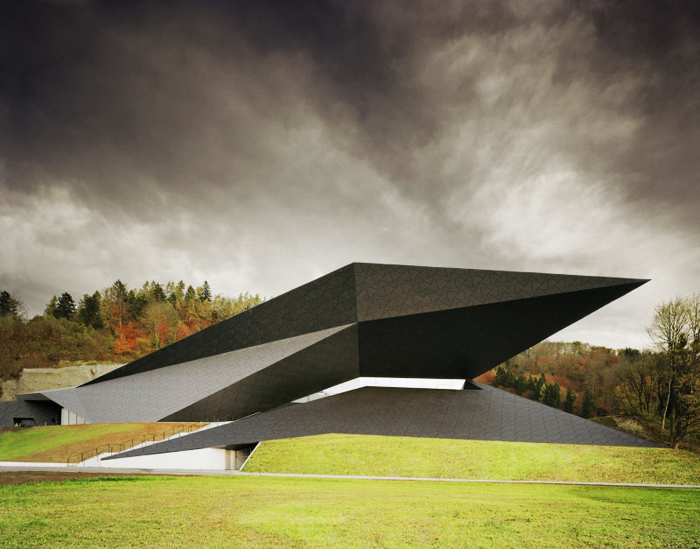 Designed by Delugan Meissl Associated Architects the building’s geometry follows the natural landscape of the surrounding hills and rock formations in Erl. 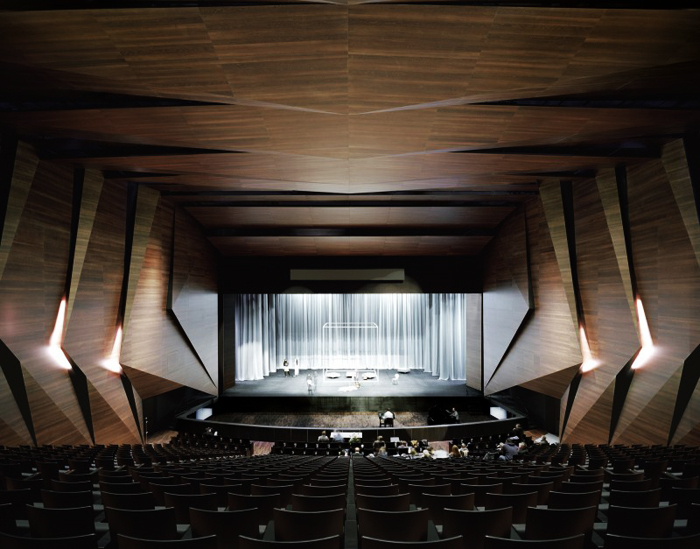 The new Festival Hall is a winter concert venue for the Tyrol Festival. It's sharp, soaring lines offer a contrapuntal foil to the 1950s curving white building already on the site. 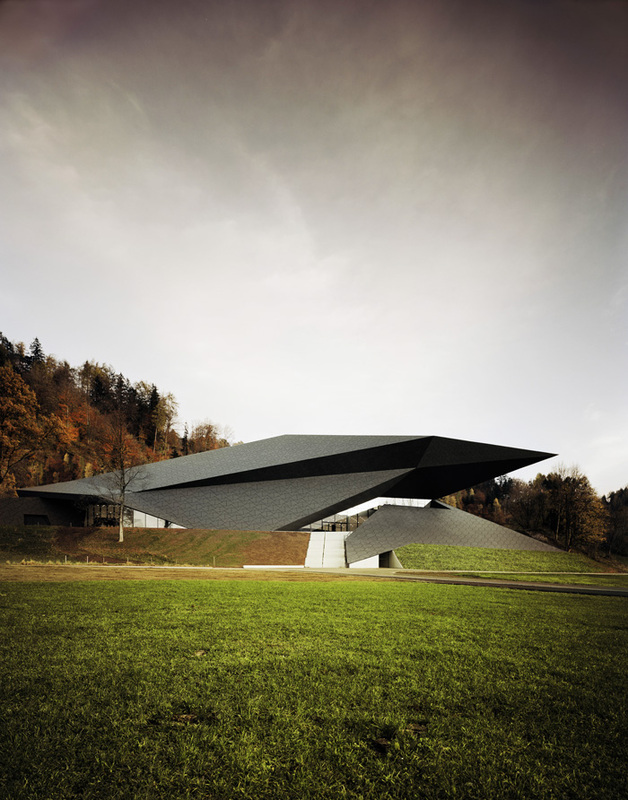 The Passionsspielhaus, or 'Passion Playhouse' hosts summer operas and orchestras and sits across a grassy hillock from the new building. 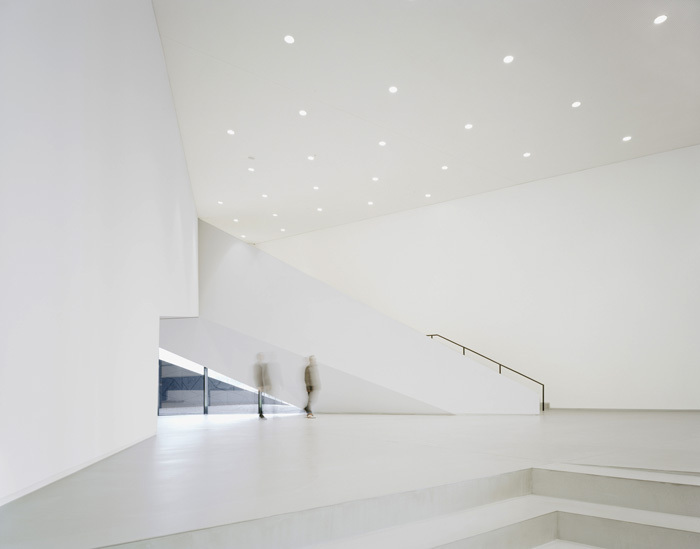 The staircase leading into DMAA's Festival Hall is integrated into the terrain’s topography and the enormous white foyer allows you to gaze at the surrounding green hills and look out to the white summer playhouse nearby. 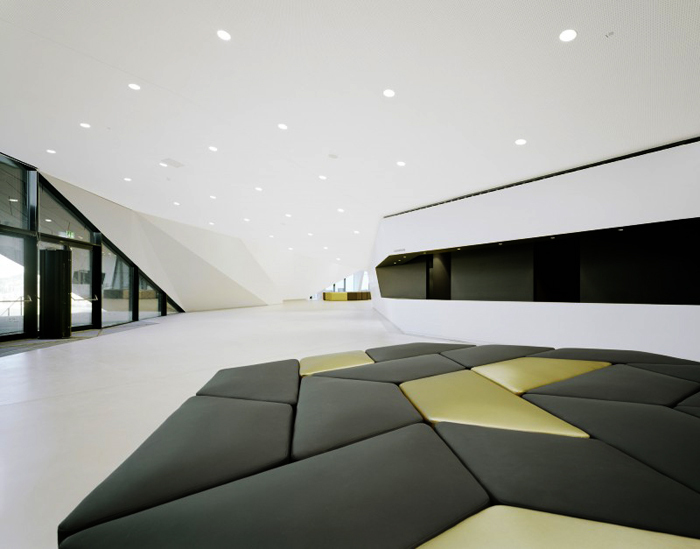 The architects designed the configuration of their monolithic building like a tectonic stratification, with the 'crevices' and 'faults' showing the way into the interior. 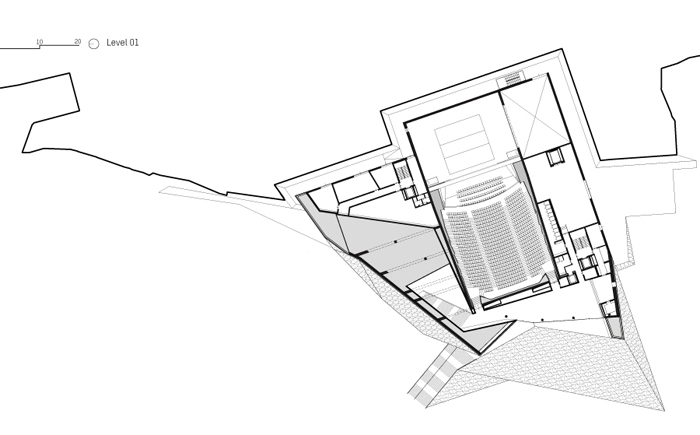 During the evening, the incisions and folds of the façade allow slanting views into the brilliant white foyer. A staircase leads up to a gallery on the next level and inside and out are brought together by the glass-fronted western façade. Pathways lead through the building, narrowing and widening with different ceiling heights creating a sense of the land's geometry. 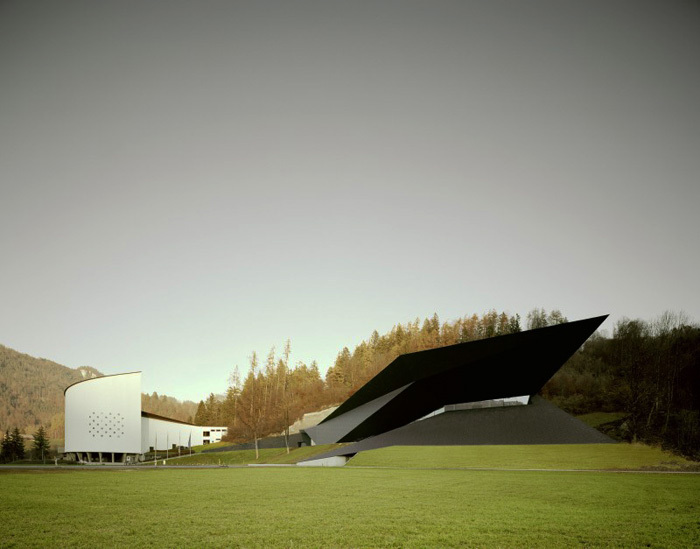 The concert hall is located at the centre of the building like a shell anchored to the rock. 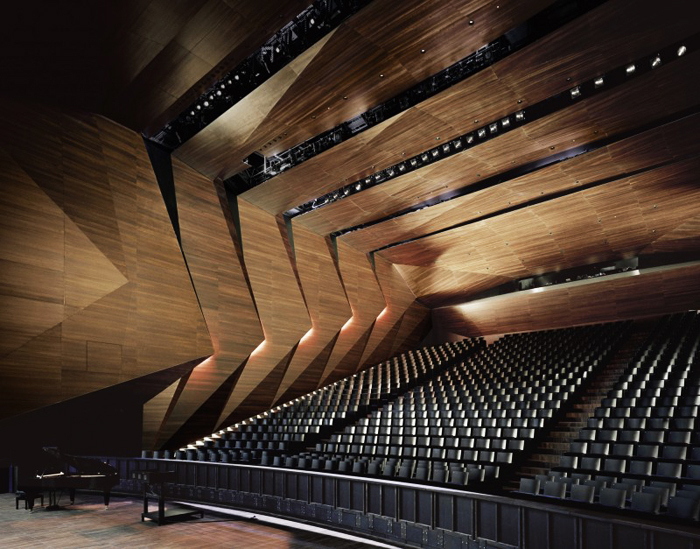 The dynamic asymmetry of the foyer is deliberately contrasted with the peace and ordered space of the wood-lined auditorium. 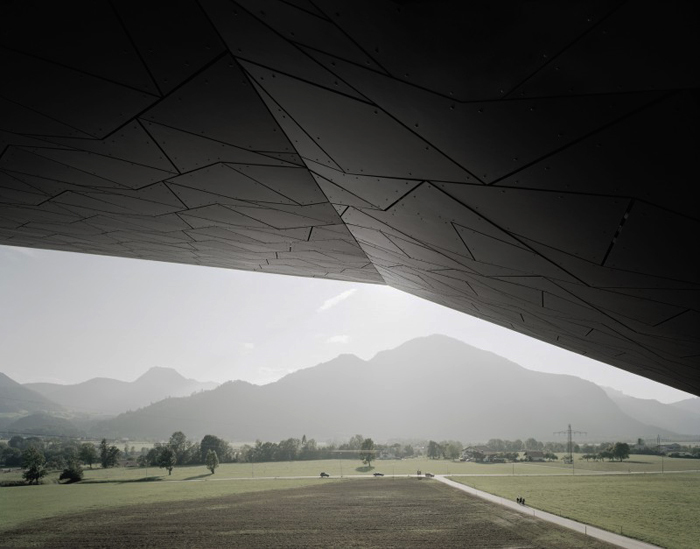 Delugan Meissl Associated Architects won a competition in 2007 to design the concert hall and it was completed at the end of last year.